Combine the ingredients in a jar with a tight-fitting lid. Allow to steep for 1 week. Strain. 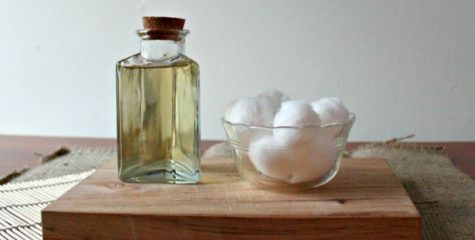 Use 1 teaspoon per application with a cotton ball. Refrigerate if you wish. Mix dry ingredients in a nonreactive (glass is good) bowl. 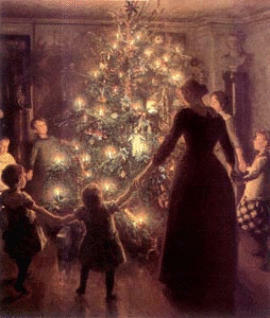 Drop in attar and essential oils, stirring with each addition. Pour into a dusting powder box. Apply with a powder duster. If this type of packaging is unavailable, pour the mixture through a funnel into a shaker-topped powder bottle. Add a few grains of rise to stop ingredients from clumping. To use, shake on body, bed, or inside shoes or drawers. 1 tbsp of cucumber juice. Use a cotton ball to apply this lotion on your skin and leave it on until it dries. Be careful not to get any in your eyes. Rinse off the mixture with warm water. 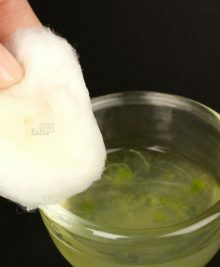 Mint paste in lemon juice applied on the skin gets rid of pimples and blackheads. A strong tea of peppermint and nettle leaf used as a hair rinse will sooth scalp and promote hair growth. Great for getting rid of dandruff. 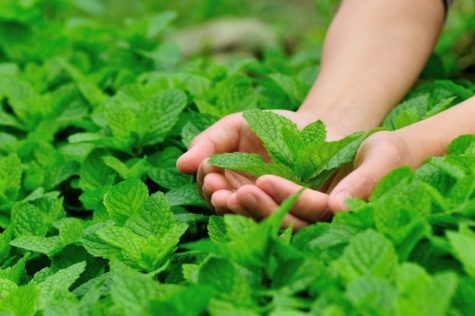 Peppermint has always been a popular ingredient in skin care because peppermint oil contains menthol and menthol is good for the skin. Peppermint has great benefits such as soothing irritated, itchy and dry skin. It has also been used to fight acne, dermatitis and ringworm. 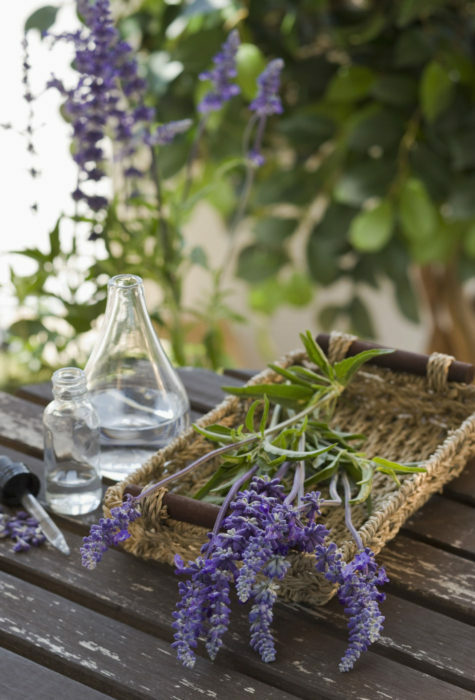 Peppermint essential oil is often the choice to relieve the symptoms of sunburn in addition to including it with a moisturizing lotion or cream. This is a skin toner that does wonders for the delicate skin around the eyes. To make this preparation, combine 1 teaspoon of warm honey with one unbeaten egg white. Mix these ingredients well, then with moist finger tips, pat the mixture into the area around the eyes. Always use a gentle patting motion. Allow time for the honey-egg white mixture to dry on the skin, and then remove gently with warm water. Honey makes an excellent facial, and can be used by itself, or in combination with other ingredients. When applying honey to the skin, first moisten your fingers with warm water and shake off the excess. Pull your hair back and use a towel to protect your clothing and shoulders. Pat the honey gently onto your face and neck, allow it to remain for about 20 minutes, then rinse with warm water. If you have oily skin, add a few drops of apple cider vinegar or lemon juice to the rinse water. 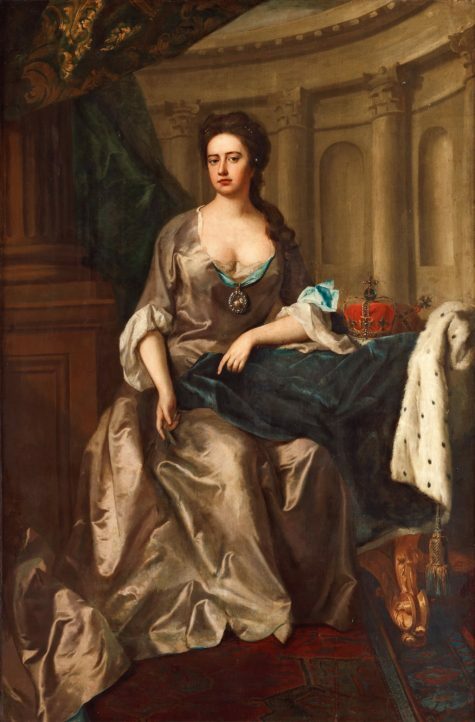 Queen Anne of England had a honey treatment for her famously magnificent hair. Though extremely simple in its content, this recipe for Queen Anne’s hair “elixir” was so closely guarded that it became known only after her death. Take one cup of honey and 1/2 cup of the finest grade of cold-pressed olive oil. Mix the two ingredients thoroughly with an egg beater or in a blender, and store in a tightly covered jar or other container. Try to prepare the mixture one or two days ahead of time, but do not refrigerate. About 1/2 hour before shampooing your hair, condition it with this honey brew. First, shake the mixture vigorously, as the oil and honey will have separated. 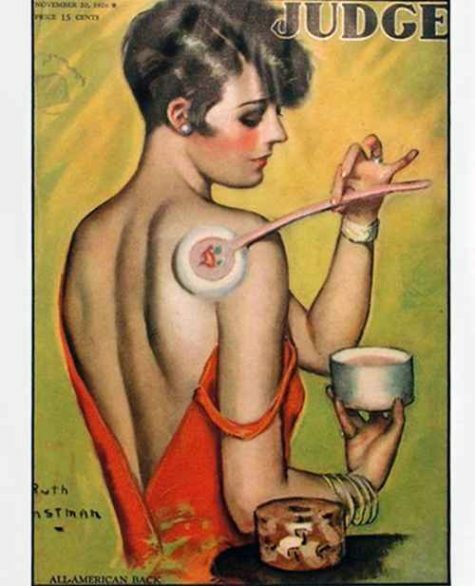 Then, apply a generous amount of the solution to the hair; work it thoroughly through the hair and into the scalp. Next, wrap a plastic bag or warm towel around your hair and fasten it snugly. 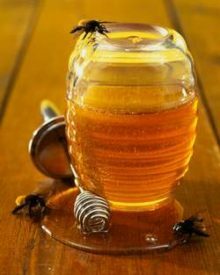 Leave the honey bath on your hair from 15 to 30 minutes, depending on the texture and condition of your hair prior to the treatment. As the treatment tends to darken hair, it is probably best to use it only on dark hair. When the treatment is complete, shampoo your hair as usual. Rinse well and towel dry. Warm the oil and lanolin in the top of a double boiler. Add the flowers and simmer for 30 minutes. Strain and stir in the honey. 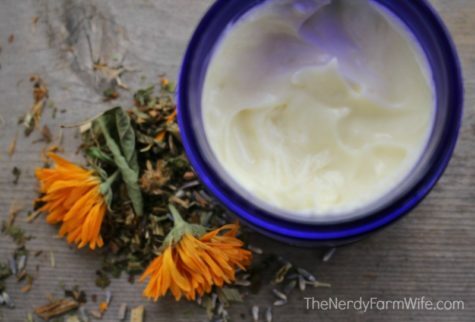 Cool, pot up and label this emollient cream. Combine the ingredients and leave to stand for at least 2 weeks. Strain through a cloth or a coffee filter and bottle. Note: Vinegar washes should always be diluted before using directly on the skin; a tablespoon to a wash basin of water should be sufficient. Soak the flowers in the liquid in a covered pan for 3 hours. Strain, reheat and dissolve a little honey in the liquid. A spoonful of oatmeal, bran or wheatgerm will thicken the lotion. Keep refrigerated and use within a week.